Many of these errors are the result of a system that is made unnecessarily complex. Prescriptions in a are a nightmare. It can take up to 20 steps to get a simple order filled. That creates too many possibilities for something to go wrong. The simplicity of the old days and the local pharmacy were so much safer. It is not just the pharmacist or the doctor that can make a mistake. While pharmacists are ultimately responsible for all prescriptions, technicians are a crucial part of the dispensing process. Sometimes it is the technician that makes the key error that leads to a lawsuit. You see a lot of technician errors in Baltimore because our pharmacies seem to have such a high rate of turnover. The statistics on medication errors is stunning. There are between three and four million dispensing error made every year. Most are harmless. But over $1 million people are hurt and 100,000 people die. These errors also cause an economic toll that may be as high as $72 billion a year. It is estimated that the overall dispensing accuracy rate in pharmacies is 98.3%. This translates to 12 errors for every 1000 prescriptions. There is a need for every community/ambulatory pharmacy to find a way to control risk in order to prevent, identify and mitigate harm from these errors. Because too many people are getting hurt and killed. As a result, pharmacy error cases are more frequently the subject of litigation. What Duties to Pharmacies Owe to Patients? The extent to which these duties are applicable varies significantly from state to state. The bottom line is that broader duty under state law subjects pharmacies to greater liability. What Else Do Pharmacies Get Sued For? There are certain prescription drugs that can dangerously interact when they are taken together at the same time. Doctors and pharmacists are well aware of most of these potentially dangerous drug interactions. Pharmacies are responsible for identifying and avoiding potentially harmful drug interactions. Most pharmacies have computer systems that automatically detect and flag potentially unsafe drug interactions. Certain prescription drugs can also have adverse interactions when taken in combination with particular foods or alcohol. Drugs can also have adverse interactions when taken by patients with certain medical conditions. Pharmacies regularly get sued for failing to properly identify and avoid all types of potentially adverse drug interactions. These types of cases occur when the pharmacy fills a prescription with the wrong drug (i.e., not the drug that the doctor actually prescribed). This sort of error happens much more than you would expect and can result from any number of things. Probably the most common cause is handwriting errors where the pharmacy misreads a doctor’s handwritten prescription. Another common cause of dispensing the wrong medication is drug name confusion. A lot of prescription drugs have confusingly similar brand names. One notable example of this type of brand name confusion occurred with the epilepsy drug Lamictal and a popular antifungal drug named Lamisil. The name confusion between these drugs caused enough issues that the FDA and drug maker had to publish warning letters. Most of the time, dispensing the wrong drug results in little or no harm to the patient. There are circumstances, however, when dispensing the wrong drug can have serious, life-threatening consequences. In Maryland, there was a brain injury lawsuit filed in 2018 alleging that a nurse mistakenly administered Epinephrine instead of Ephedrine. The drugs not only sound similar but they have similar pharmacology. But the potency of the drugs is very different. Allegedly, it led to an awful brain injury in this case. Cox v Comprehensive Pharmacy Serv. (Illinois 2017) $1.5 million: 62-year-old Plaintiff died after a brain infarction was caused by prescription painkiller drug Dilaudid which was filled by the defendant pharmacy. Doctors at the hospital realized the danger the drug might pose and sent an emergency stop order instructing the pharmacy not to fill the prescription. The pharmacy claimed that they never received the stop order. A jury found that the pharmacy was negligent in failing to have proper procedures set up to receive stop orders. Infant Plaintiff v Defendant Pharmacy (New York 2017) $225,000: Pharmacy was supposed to mix prescribed dosage of Clonidine for infant patient. Pharmacy technicians mistakenly used micrograms instead of milligrams resulting in 1000 times the prescribed dosage strength. Despite being hospitalized for 11 days, the infant patient did not have any clear permanent injuries as a result of the dosage error. Plaintiff’s tried to argue he was at increased risk of certain conditions in the future. Case settled prior to trial. Lewis v Walgreens (Texas 2017) $250,000: This wrong drug error case result from a brand name confusion between 2 drugs. Plaintiff was supposed to get Thiothixene but instead the pharmacy gave her Thiothixene with Amlodipine Besylate which is a different drug. With no permanent injuries, the case settled for $250,000. Hall v Miller Pharmacy (New York 2018) $325,000: In this wrong dosage case, the plaintiff was prescribed 5mg of methadone but the pharmacy gave him 10mg pills of methadone by mistake. The lawsuit alleged that plaintiff died from an overdose as a result of the mistake, but the pharmacy contended that he actually died from an overdose of several different drugs. The case settled before trial. Blanco v Bourgeois (Louisiana 2015) $1.2 million: Plaintiff has a prescription for the arrhythmia drug Tambocor but for several months the pharmacy was incorrectly giving him Nortriptyline. Nortriptyline is anti-depressant that is actually known to cause heart arrhythmia (the same condition the patient’s medication was supposed to treat). As a result, the plaintiff’s irregular heartbeat condition got much worse and eventually caused permanent heart and brain damage. 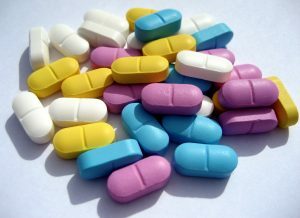 The pharmacy admitted negligence in giving him the wrong drug but disputed his injuries and causation. A jury found in favor of the plaintiff and awarded $1.2 million. JP v Walgreens (Illinois 2016): In this wrongful dosage case the pharmacy gave a 14-year-old patient 100mg pills of Amitriptyline when her prescription was only for 10mg pills. Plaintiff did not have any clear permanent injuries, but the high dosage caused her significant pain and suffering for several months. Pharmacy admitted liability but disputed damages. The jury in Chicago awarded $350,000. The malpractice lawyers at Miller & Zois handle medication error cases including lawsuits against pharmacies for prescription errors. Our law firm only handles cases where there is a meaningful injury or death. If you or a family member has been injured as a result of a pharmacy error, call us at 800-553-8082 or get a free online consultation. Can a pharmacist refill an expired prescription? I pharmacist can refill without a prescription under certain circumstances. Here is what they are under Maryland law. Nursing home patients are one probably the most common victims of prescription errors. This is an example of a nursing home prescription error case filed in Maryland.